The Movelite Pro Carbon XL is the latest version of the best-selling Movelite XL and features the latest advances in both quality and innovation. 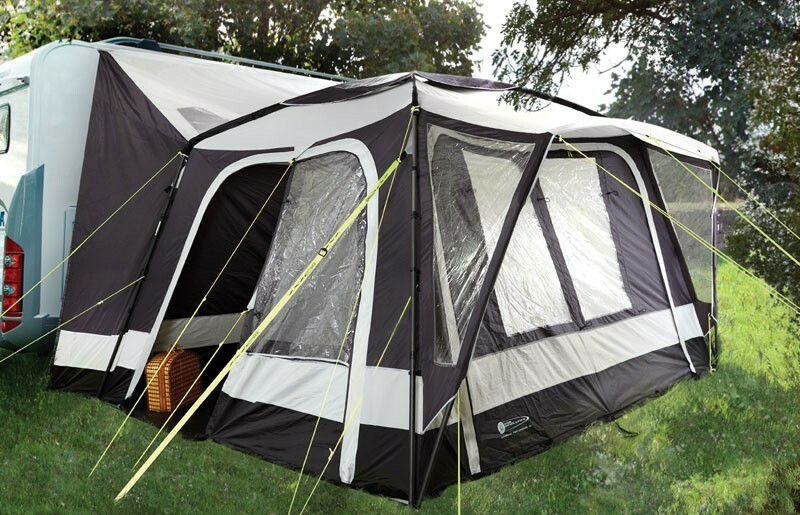 As the name suggest the Movelite Pro Carbon XL features the revolutionary Carbon-Lite frame that makes it not only one of the strongest driveaway awnings in the market but also one of the lightest and quickest to erect. 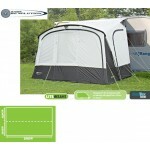 The fabric of the awning is Revtex 5000D Ripstop that incorporates windowed panels on all sides making the interior light and airy. Over the front door of the awning there is a canopy that provides additional protection for your front entrance and on either side the panel can be removed to accommodate an optional annexe to create an extra bedroom or simply provide more storage. The front panel can also be rolled back to give you an open plan space and the connection tunnel at the rear not only has skylights but it also gives you ample access to your van and can be used as an extra storage area. 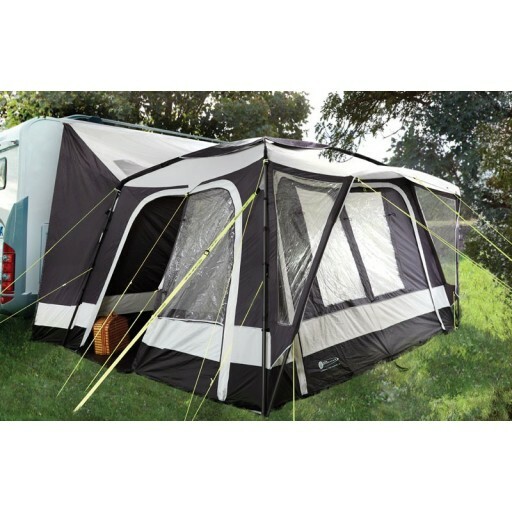 The internal bath tub groundsheet keeps out the elements and the pole structure gives maximum internal space which is ideal for those longer holidays. The Movelite Pro Carbon XL is ideal for larger, coachbuilt motor homes and van conversions with a height range of 240cm to 290cm. 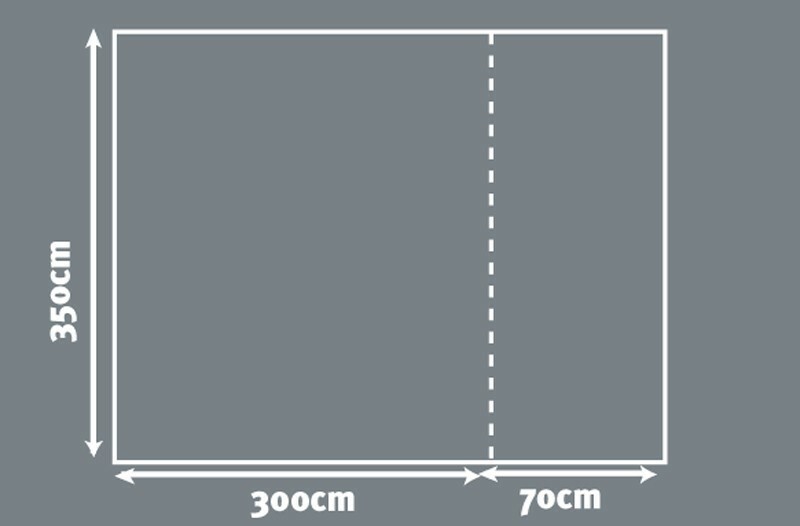 The floor area is 3.5m wide by 3.0m depth. 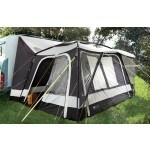 Outdoor Revolution Movelite Pro Carbon XL Motorhome Awning.